It's no secret, I love fringe in all shapes and forms. But maybe you aren't as dedicated to collecting an abundance of fringe as I. Not to fret! 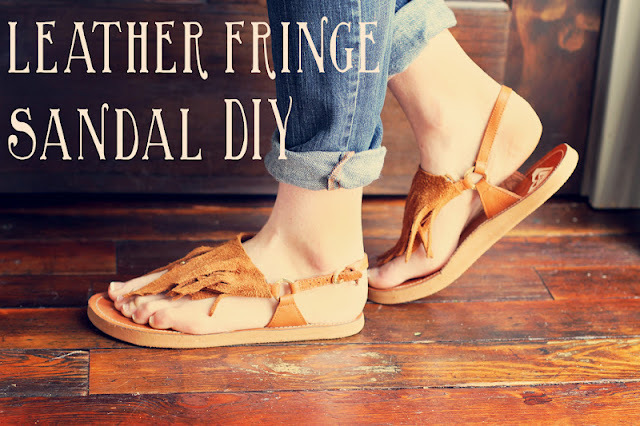 What's nice about this DIY is that it's removable so you don't have to dedicate your favorite pair of sandals to a permanent make over, just a temporary one if you like. 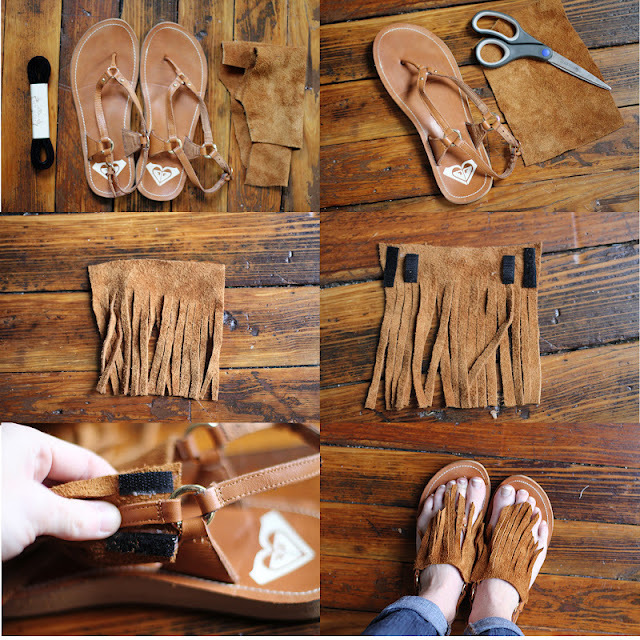 Enjoy this ready-for-spring sandal DIY..
Supplies: Sandals with thin straps (I chose I pair I don't wear anymore! ), leather, Velcro. Pantry Supplies: Sturdy craft glue, scissors. First, cut a strip of leather the same length as the front of your sandal. Then, fringe it! Once it's cut into fringe, attach strips of Velcro to the outside corners of the leather with the glue. You'll want to make sure it's in the correct spot to fit around the sandal strap. Lastly, Velcro it on! P.S. It's been raining non-stop in my neck of the woods, creating an imperative need for soft, pretty tunes to accompany my day. Here's one of my favorites this week. You always have the most fantastic DIY's! Okay so usually I see DIY's and i'm kind of like eh already seen that one before. But this is so great and original! I seriously cannot wait to do this! these sandals are soooo cute! i love them! very creative! love the boho feel of the fringes. YES! I have to make these! So cute! I want to do this to a pair of brown wedges that I have. You inspire me, sweet Kinsey. Loving discovering some shared music loves, and finding new ones through your little playlists. 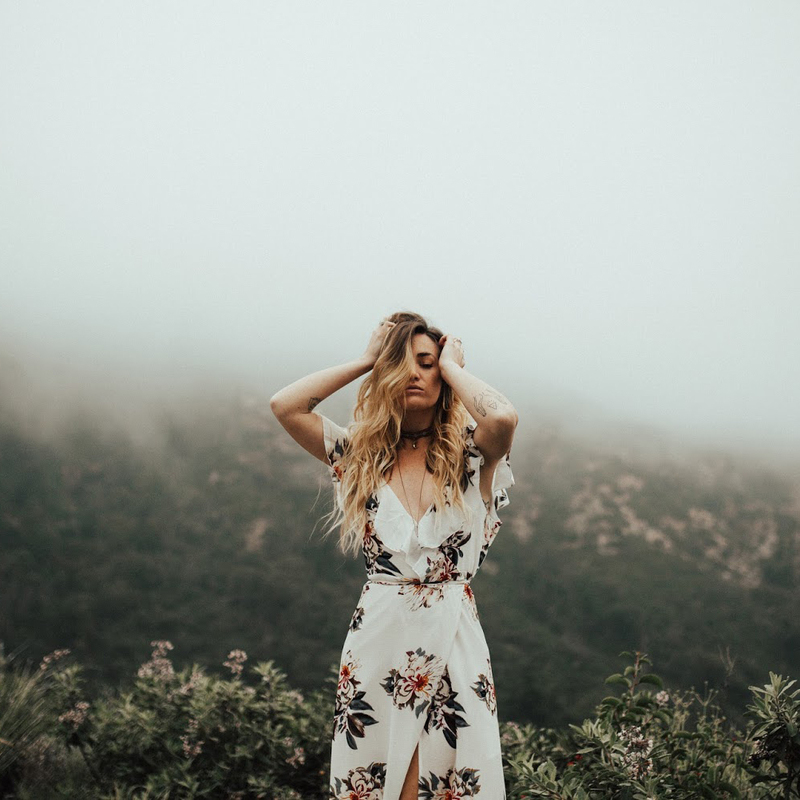 Newly in love with Jillian Edwards, thanks to you. This is such a good idea! I would have never thought about doing this.. they look really great too!